These questions are for the moment unanswerable, though answers will come with time. Yet we can see all that is at stake. 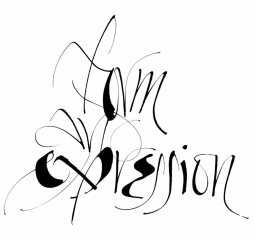 In the sheer abundance with which Ingmire composes, he, and every calligrapher working a similar terrain, reminds us that language may be the most miraculous of human inventions, that we proceed at much peril with the technological impulse that longs to bind it in the sheen of the uniform and the ordinary, measuring words by their utilitarian value alone. If we allow our language to slide into banality, will not our lives follow it there? This work wants us to look again at something whose true character is no less extraordinary for its ceaseless daily use. Maybe more so.